The G20 made tackling corruption a priority in 2017, highlighting in particular the harm caused by corruption in impeding the development of the poorest countries, threatening market integrity and distorting open competition. This damage is nowhere more evident than in public procurement. Public money is wasted, infrastructure is built to poor standards, public services are provided inadequately. Yet tracing corruption in contracting is often very difficult. The process can be corrupted in a huge range of ways and for a variety of reasons, from allocating contracts to cronies who help finance political parties or overlooking collusion among uncompetitive firms in return for kickbacks. And those involved usually have the power to cover their tracks. However, a new method of measuring corruption risks exposes the contracting process to much greater scrutiny and could change the game entirely. To start tackling corruption, it is essential to measure it with some degree of precision, to understand how actors behave in a given context. But corruption is notoriously difficult to measure. Most corruption indices provide a general view country-level trends, when in fact corruption might be much worse in some sectors than others, or affect only certain groups in society. Moreover, most measures are based on surveys of perceptions, which are prone to all kinds of bias and are often driven by recent high-profile media scandals. Nor are they good at shedding light on how behaviour changes as a result of specific interventions. In its Action Plan, the G20 Anti-Corruption Working Group pledges to prioritise “innovative solutions and new technologies”. If it seeks to do so in the important area of government contracting, then some key tools are available. In a research project funded by the British Academy and the UK Department for International Development, as part of the Anti-Corruption Evidence programme, we use a new methodology, developed by Cambridge University’s Dr Mihály Fazekas and colleagues, which constructs indicators of corruption risk in the procurement process based on objective ‘big data’. We focus on aid-funded procurement contracts, since the data collected and published by major donors is the best quality and most comparable, allowing us to ask a range of probing questions about how politics affects contracting. But in some cases we can also compare national contracting data. The method uses ‘red flags’ in the procurement process to build proxy indicators of corruption risk. For example, a very short period between tender announcement and submission deadline may be a technique for corruptly restricting competition and favouring an ‘insider’ company, which has been given prior knowledge of the tender. Using emergency procedures unnecessarily can be another way of reducing competition. 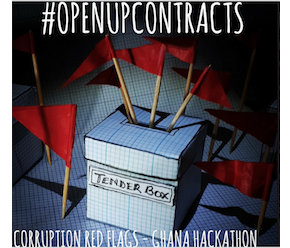 Using ten such indicators, and focusing on aid from the World Bank, the Inter-American Development Bank and EuropeAid, it is possible to analyse more than 500,000 contracts and track corruption risks in aid in more than 100 developing countries for the last 20 years. Such big data analysis allows us to explore questions such how patterns of corruption risk in aid-funded procurement differ depending on the type of political regime, or the different control regimes that donors use. Indeed, these factors also interact: our preliminary results suggest that the same change in donor rules has different effects in competitive clientelist systems compared to developmental states. These kinds of analysis do not provide conclusive evidence about cases of corruption, but they do provide guidance on likely risk areas and on the best intervention strategies. Deeper research into the political context of individual countries is then necessary to better understand how these indicators relate to underlying corruption techniques. New methods such as these have multiple applications for different users. They empower civil society groups, provide leads for investigative journalists and better equip local law enforcement agencies. They can also help donors to control aid, since much of it is spent through national procurement systems, and in doing so can help address taxpayers’ concerns that aid is going astray. But to achieve that kind of impact, it is necessary to make the method readily available to a wide set of users. Our project will also provide an automatically updating public database of contracts. Moreover, in a spin-off initiative, together with partners at the African Maths Initiativewho have developed a new open-source software package R-InStat, we are designing easy-to-use drop-down menus that facilitate the analysis of corruption risks in contracting for anyone who can use a computer. Better, more open and more connected data on contracting could help to deter and expose corruption in this major risk area. Key partners of the G20 Anti-Corruption Working Group, such as the Open Government Partnership, already embrace and progress this agenda. To grasp its full potential, we must roll out these methods to all kinds of users, and feed back lessons to contracting authorities and donors about what data they should collect and publish. These are concrete goals where the Anti-Corruption Working Group could make great gains. This blog was originally published here on the G20 Think20 blog.